Jason has been providing sound financial advice to his clients since 2008. 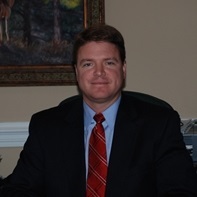 He graduated with a BBA in Business Management from Mercer University in 1996. Before Jason began his career with Peachtree Planning, he was a Territory Manager with Caterpillar. It was during those 11 years that he felt the call to help families and small businesses make a difference in their financial lives. Jason's clientele are primarily professionals and business owners desiring to maximize asset growth and cash flow. He helps clients align their intentions with their actions. This is achieved through a comprehensive process of analyzing their current plans and developing strategies regarding their asset protection, asset building, debt management and tax mitigation. Jason lives in Gray, Georgia with his wife, Cindy and their two children Kaitlyn and Tanner. Active in his community, Jason attends Christ Chapel, has served as Vice President of the Ronald McDonald House and currently serves as Vice President of Jay's Hope Foundation. Jason and his family lost a child to cancer in 2006. Shortly thereafter, they started Jay's Hope Foundation to improve the quality-of-life of children with cancer and their families in the state of Georgia by extending hope through social, emotional, spiritual and financial support. The Foundation's members accomplish their mission through serving, teaching, encouraging, contributing, leading, showing kindness towards others, and by sharing their faith in God. Jason is also a member of the Runners of Jones Co. Running Club, River Forest Country Club and a First Presbyterian Day School booster. In his leisure he enjoys hunting, running, playing golf and coaching his kids' basketball and baseball teams. His office is located at 3643 Vineville Avenue, Macon, Georgia 31204.